Now, Stereogum has somehow found Collapse EP in another unexpected location: Adult Swim’s Monday night schedule. 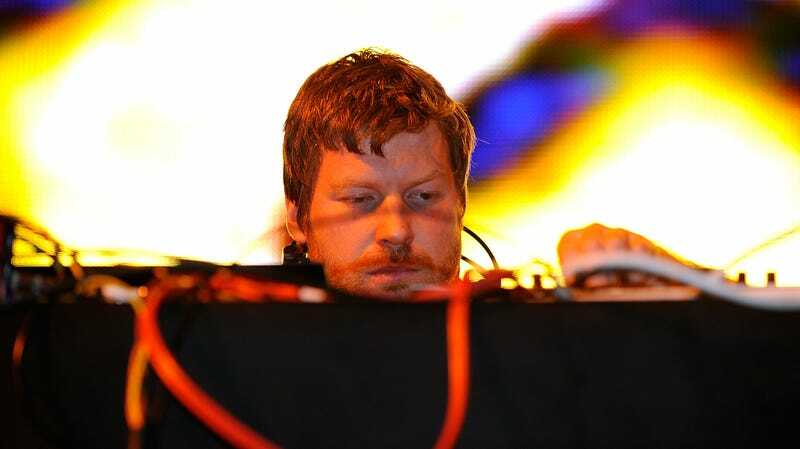 Nestled between episodes of Aqua Teen Hunger Force and Bob’s Burgers is something called “Aphex Twin: Collapse,” a thing that will air at 12:30 a.m. and run for about five minutes (based on when the Bob’s Burgers episode starts). Knowing Adult Swim, it could be a premiere of new music, it could be the Aphex Twin logo with nothing but static in the background for five minutes, or it could be a new Tommy Wiseau movie that happens to be titled Aphex Twin: Collapse for some reason. Was there a Sealab 2021 episode called “Aphex Twin: Collapse?” Because it could even be that. Either way, we’ll know late tomorrow night.